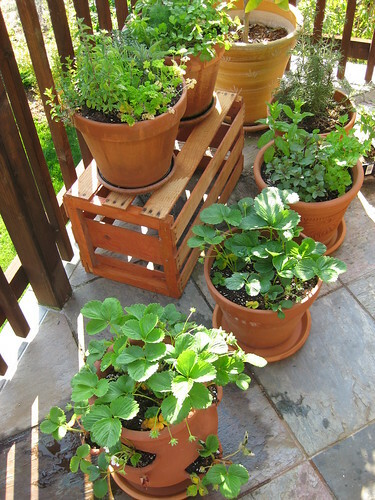 Container Gardening is becoming more and more popular with people looking to grow their own produce and especially for urban dwellers with limited yard space. Type the following words in Google ” Container Gardening Class” and you will see pages and pages of classes being offered around the country. There is even an online course you can sign-up for and receive credit if you choose to do so. If you are looking to get started with container gardening, I would watch a few videos on the topic. I think there are some very good videos outlining the process with helpful tips. You have complete control of the soil. By purchasing potting soil and nutrients like compost and other natural fertilizers, you are able to effect the soil directly. It’s portable. You can control the amount of sunlight and heat that is hitting your containers. Here is a good video that gives an overview of the whole container garden process.